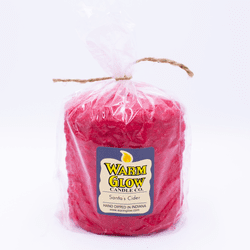 The Warm Glow Hearth Candle is the classic, best selling product. 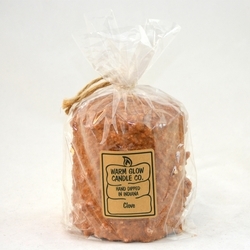 This candle has a timeless primitive, lumpy bumpy exterior, and provides a beautiful glow to any room when burning. The candle weighs approximately 2 lbs. and stands approximately 5" high x 4.5" in diameter. 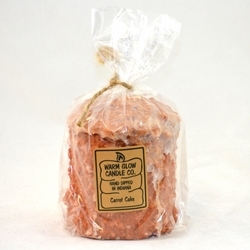 It is a long lasting candle, with a burn time of up to 150 hours. 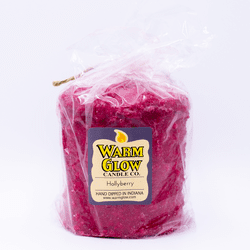 The candle is appropriate for every room as a stand alone display, or grouped together in a shabby chic or rustic decor setting. The aroma of this candle will fill your home with the lovely smell of freshly baked carrot cake. 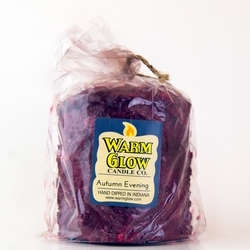 A little sparkle was added to this classic candle with its crisp scent of fresh harvested cranberries. 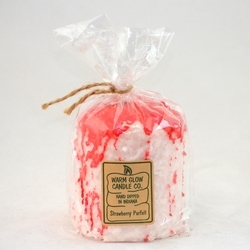 A rich, spicy fragrance with hints of mulberry, cinnamon, and clove will bring back loving memories of the holidays. 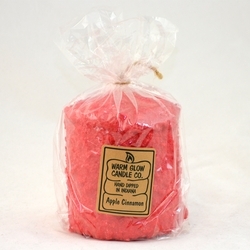 Only Santa�s elves could have whipped up this delectable aroma of fresh apple cider with a hint of cinnamon. 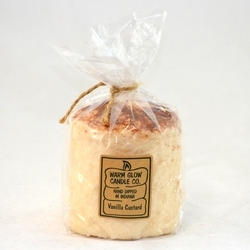 This creamy rich scent has just the right balance of vanilla and nutmeg to produce a scent worthy of any oven. 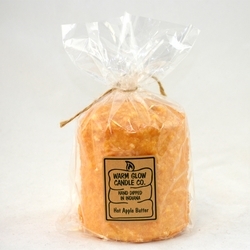 The perfect combination of sweet & spicy cinnamon with apple will always put a smile on your face. Experience a cool, crisp autumn breeze with this intoxicating combination of harvested fruit & berries, cinnamon, spices and a hint a sweetness. 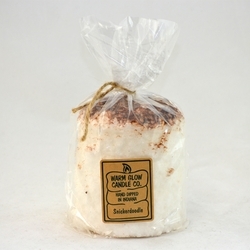 Sweet ripe bananas with hints of cinnamon and a sugary vanilla combine to give you a scent fresh out of the oven. 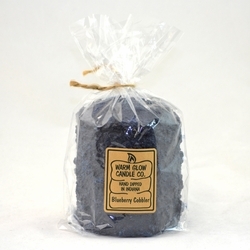 Fresh picked blueberries, hand churned butter, flour, and sugar is what you would need to reproduce this comforting aroma. 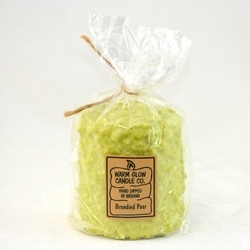 This juicy pear scented candle has hint of spice that will have your mouth watering for more of this delectable fragrance. 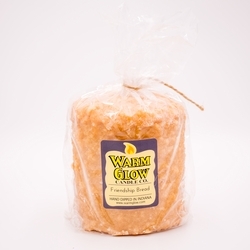 This scrumptious combination of caramel, vanilla, and cinnamon will make you think of leisurely Sunday mornings with a cup of coffee and a paper. 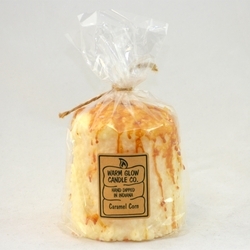 The scent of this buttery vanilla candle glazed with caramel coating is even better than a trip to the local festival. 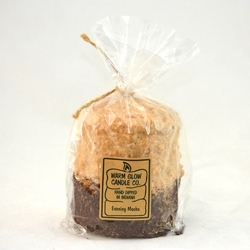 We�ve saved you a trip to the bakery with our buttery, rich scent made extra special with a dusting of cinnamon on top. This rich candle will warm up your home with the spicy scent of fresh cloves. 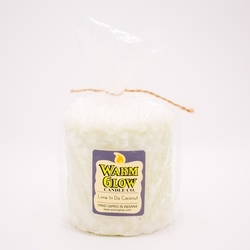 Not only does this candle have the sweet, crisp scent of sugared coconut, but the smooth, creamy hint of vanilla will surely put you in a happy state of mind! 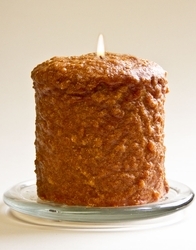 This creamy candle rolled in nutmeg and ginger will take you back to the old country store where the aroma of bagged spices filled the air. 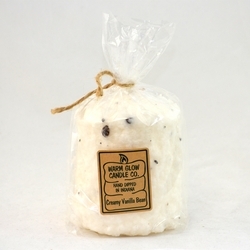 Enjoy a double dose of vanilla in this warm, rich candle dotted with vanilla coffee beans. This scent will take you to your favorite coffee house with the smell of rich coffee brewing with hints of hazelnut, caramel, and vanilla. 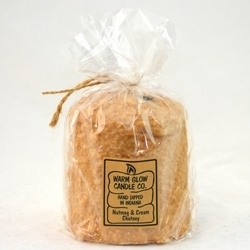 You will love this warm, swet bread with a hint of warm butter. 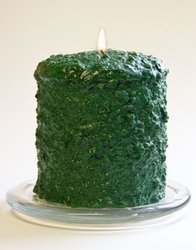 Share this candle with all of your friends. 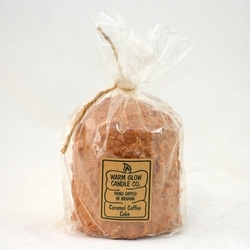 We�ve captured the warmth and aroma of an old-fashioned gingerbread cookie. The only thing missing is a glass of milk! 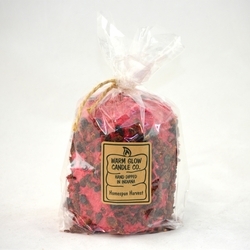 This lovely, cranberry scented candle rolled in rose hips is sure to become a year-round favorite. We�ve done all the work of rendering the apples and adding the spices to produce the perfect aroma of homemade apple butter. 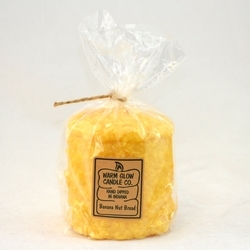 The scent of a lemon shortbread cookie is a delectable combination hard to resist. Experience some island paradise. 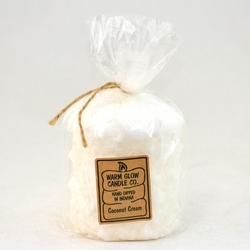 Creamy coconut with a crisp, zesty citrus fragrance. Lime green core dipped in white. 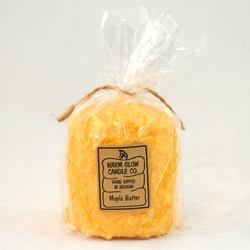 This creamy, warm, sweet, buttery scent with hints of maple will have you craving breakfast with hot rolls and biscuits. Experience a walk in the woods with the aroma of fresh cut pine around you without ever leaving the comfort of your home. 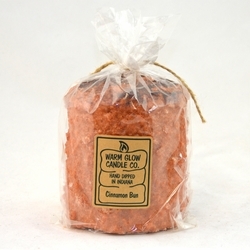 Warm your heart and soul with the sweet scent of fresh cream and nutmeg garnished with cinnamon. 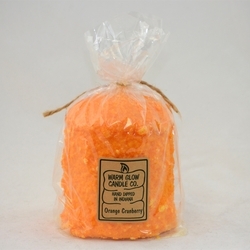 The combination of fresh oranges with crisp cranberries produces a delightful light scent perfect any time of the year. 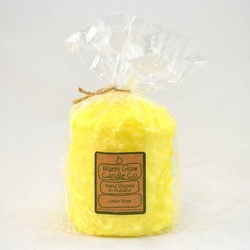 Warm Glow Candles have popped the top on this candle! 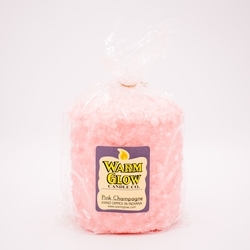 Looks and smells luxurious with champagne accord, lime est, and sparkling grapefruit with a touch of strawberry, melon, and pear. 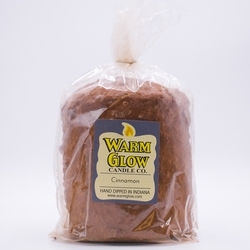 Imagine a rich, sweet, buttery crumb cake fresh out of the oven with the scent of nutmeg, cinnamon, and allspice wafting through the air. 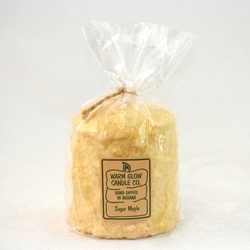 The sweet smell of hot sugar cookies dusted with cinnamon will tantalize your senses without the guilt. 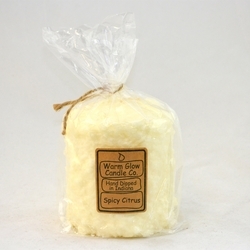 This spicy citrus candle is a wonderfully crisp, refreshing fragrance for all seasons. Strawberries straight from the patch over homemade ice cream will bring back memories of summer picnics and socials. 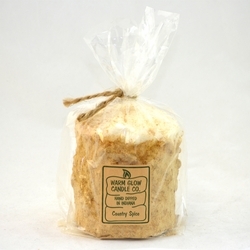 Experience Saturday morning every time you smell this creamy, sweet scent that will have you craving pancakes!